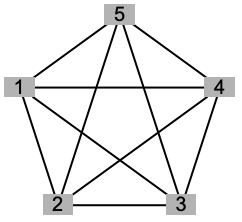 is an option to Graph and related objects that specifies styles to use for the different graph elements. Typical settings include: Automatic, "BlackAndWhite", "DynamicHighlight", etc. GraphElementData["GraphStyle"] gives a complete list of settings. A GraphStyle setting contains base settings for the following options: EdgeShapeFunction, EdgeLabels, EdgeStyle, GraphLayout, VertexShapeFunction, VertexLabels, VertexShape, VertexSize, and VertexStyle, as well as all the supported Graphics options. Direct settings of any of Graph options override base settings provided by GraphStyle.